It would be quite exciting to listen to answers about aliens and UFOs from somebody who had really flown to space and had spent some time in Cosmos. When NASA astronaut Col. Jack Fischer was asked about aliens and UFOs and what other astronauts think about the extraterrestrial life and its existence, Fischer answer was quite simple but interesting. He said that he had not seen any aliens or UFOs yet. He said that he had the wish of encountering aliens or UFOs and if he would have managed to do so, then he would have taken photos. I haven’t! I wish I had. If I had, I would’ve taken pictures; I’d be rich, but I haven’t yet,” said Fischer. As Fisher has said that he believes that there is chance of the presence of alien life and UFOs in other stars systems, it can be said that like him many more astronauts might have the same belief about aliens. Astronaut Fisher told all these things at the NASA Glenn Research Centre where he addressed hundreds of people and answered many questions related to space, Mars mission as well as aliens. When asked about his take on missions to Mars, Fischer said that astronauts will soon travel to Mars and that the path to the Red Planet runs right through Cleveland. 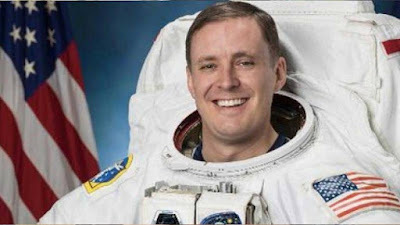 He said that he is eagerly waiting to see the summer testing of NASA’s new and most highly advanced Orion spacecraft which will be sent to Mars in the upcoming days. Fisher has spent four and a half months in the International Space Station and came back to earth in the month of September last year.